The potential of a refrigerator can never be underrated. This electrical device plays a crucial role when it comes to preserving the raw food and other eatables. The device makes sure that the thing you store remains fresh for a long time. The dependability of this device on us has been so much that it has reduced the requirement for going out to shop on a daily basis. Apart from this, the storage of the food helps a person to get exposed to several culinary and dietary options. It is that point in time where the role of the appliances becomes pivotal. One of the instances of being associated is specifying whether the fridge is working or not. Apart from this, deciphering the reason behind the malfunctioning of the fridge is yet another challenge that a person faces. Is the Thermostat Working Properly or Not? Thermostat controls the temperature inside the refrigerator. It is that important part of the fridge that controls the formation of ice and the temperature of the compartment. 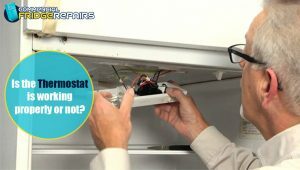 The technicians from the Commercial Fridge Repairs ascertain that a healthy fridge has the properly working thermostat. Therefore, it is necessary to make sure that the fridge has an intact thermostat controlling the freezing. Well, a compressor is the backbone of the refrigerator. It pressurises the refrigerant to squeeze out heat from the different compartments, ingredients, and the insulated freezer. The problem associated with the compressor is mainly because of the wear and tear that occurs because of the daily usage. 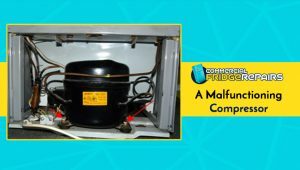 A malfunctioning compressor creates a majority of problems and can lead to a standstill fridge. Therefore, the professionals are hired to get the things done right. They check all the aspects and proceed accordingly. As years pass by, the seal of the door gets affected. The improper insulation or the leakage of cold air through the door also affect the cooling. 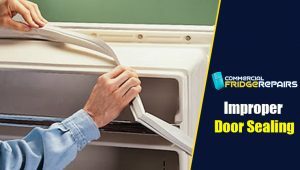 Professional fridge repairs in Sydney take into account the changing of the sealant to restore the cooling of the fridge. According to the experts, a quality door sealant should be used as the replacement. It is a must as most of the cases of “fridge not cooling properly” have been reported because of a wrong sealant. In order to make sure that a refrigerator performs the optimum, the coils of the unit need to be free from all sorts of dirt and dust accumulation. The primary function of the coil is to absorb and dissipate the thermal energy. With a coil engulfed in dirt, it becomes almost difficult for the refrigeration cycle to perform efficiently and thus creates the problem. The professionals get it cleaned after a thorough inspection and make sure that the refrigerator is restored back to its normal functionality. 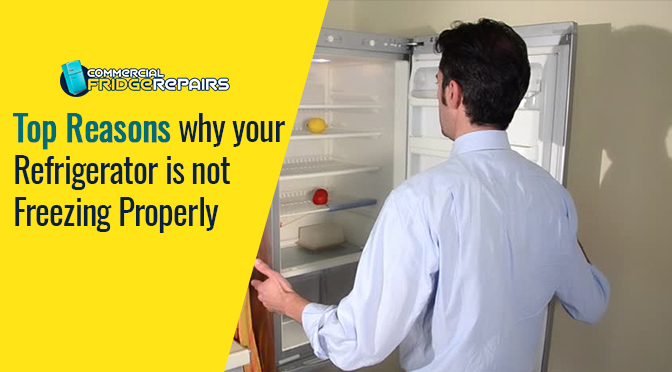 Proper assessment of the reasons behind the fridge not functioning needs to be sorted out before proceeding with repair and replacement. 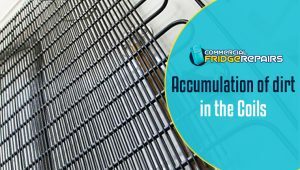 Commercial Fridge Repairs make sure that all the measures are taken effectively to restore the normal functions by eliminating the anomalies.